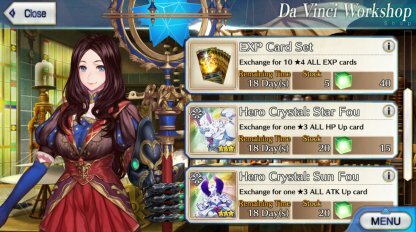 On this page you'll find our guide to Fou Cards and the best way to use them in FGO(Fate/Grand Order). We also give advice on how to collect these useful items, so if you want to know all there is about Fou Cards, keep reading! Fou Cards are Status Up cards that Enhance Servants. 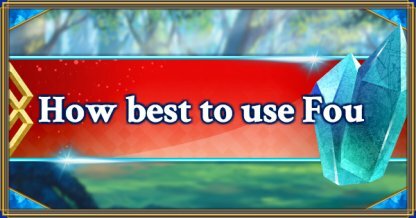 They can increase HP or ATK stats, so give a boost to your Servant's durability or firepower. They are not used in battle but only as Enhancement materials. 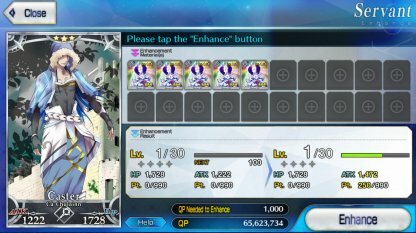 You can use Fou Cards in the "Servant Enhancement" screen, just like when leveling up. Remember though, you can only use Fou Cards with the same Class as the Servant you want to Enhance, unless it's one of the unrestricted All-Class Fou Cards. There's no benefit from a "Super Success"
Unlike leveling up, even when a "Super Success" or "Great Success" occurs during Enhancement, the rise in HP or ATK stats a Fou Card awards does not change. Only the EXP increases. The main way to get Fou Cards is through exchanges in the Shop or in Events. The number available is limited so it's best to exchange as many as you can. Fou Cards can also be acquired in the Friend Point Summon. The stock of 3★ Fou Cards is replenished on the 1st of each month. Fou Cards can raise the standard of a Servant's Status and fill in any gaps in their performance. You can eliminate problems such as having a Servant that "has great durability and can keep fighting forever, but dishes out hardly any damage". They are also effective in making up for the low stats typical of Low Star Servants. Damage calculations often involve a multiplication effect, so raising a Servant's ATK by 990 is a huge benefit. Any shortfalls in the damage they deal out on farming runs can then be eliminated. Use Fou Cards to further enhance each Servant's particular characteristics. For example, a Servant has a "Special Attack" which deals extra damage to a specific enemy. If you use an ATK Fou Card on this Servant you can further increase the damage given.